One of the most popular boats ever built by Sea Ray, the 390 Express offers a spacious two-stateroom interior with an island queen forward and unique guest stateroom to starboard that can be opened to the salon. The galley with breakfast bar faces a large curved settee. The aft cockpit is huge with comfortable seating for up to eight passengers. 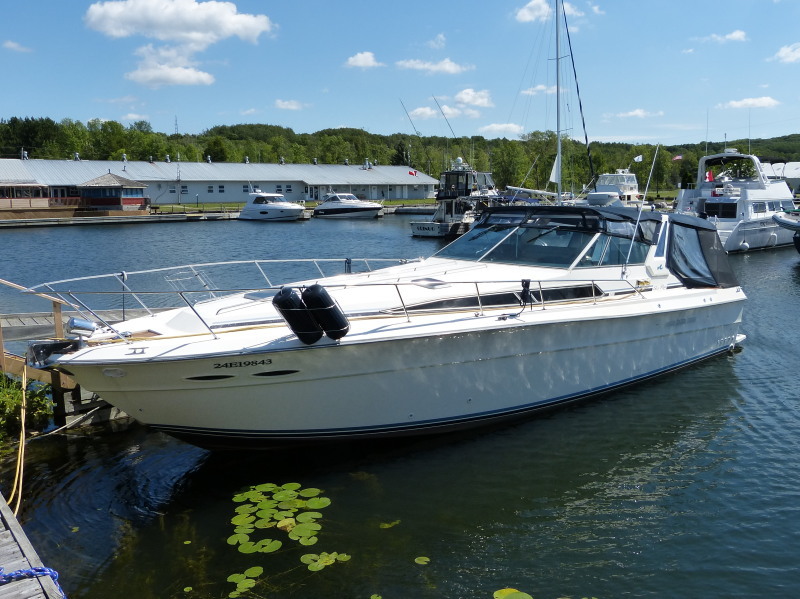 This classic Sea Ray 390 Express Cruiser has been very well kept and is loaded with a full suite of cruising amenities. It is offered at a fraction of the cost of a more current model and is a must see for anyone looking for maximum value in a full featured freshwater cruiser.